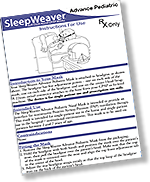 The SleepWeaver Advanced Small Soft Cloth CPAP Masks extends the range of SleepWeaver masks to include those with smaller faces. 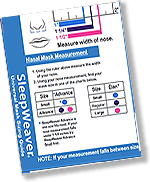 The SleepWeaver Advance Small Soft Cloth Mask is about 15% smaller than the regular Advanced CPAP mask. 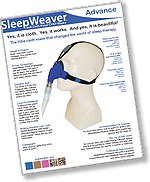 It is intended for CPAP, AutoCPAP and BiLevel use in patients greater than 30kg.